What are White BOPP labels and why would you need them? 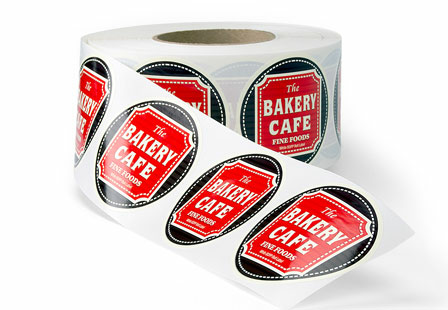 If you are looking for a cost-effective way to order custom stickers or custom labels in bulk, roll labels are a great option. Commonly used for packaging, shopping bags, a variety of product packages (bottles, cosmetic) and more. 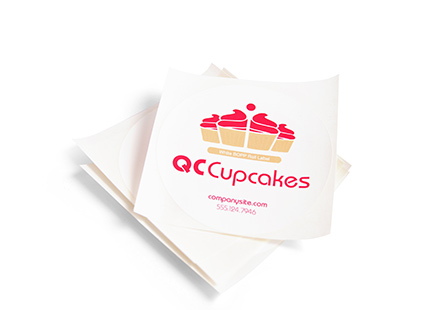 Plus, the BOPP stickers can be used as name tags, wedding favors or promote a community event. The opportunities are endless. Select from a large selection of shapes (oval, circle, square, custom) and sizes. They can stick to a variety of smooth surfaces as they have a strong permanent adhesive. They are also water and oil resistant making them a great option. Please note: All rectangular and square roll labels come with 1/8” rounded corners.